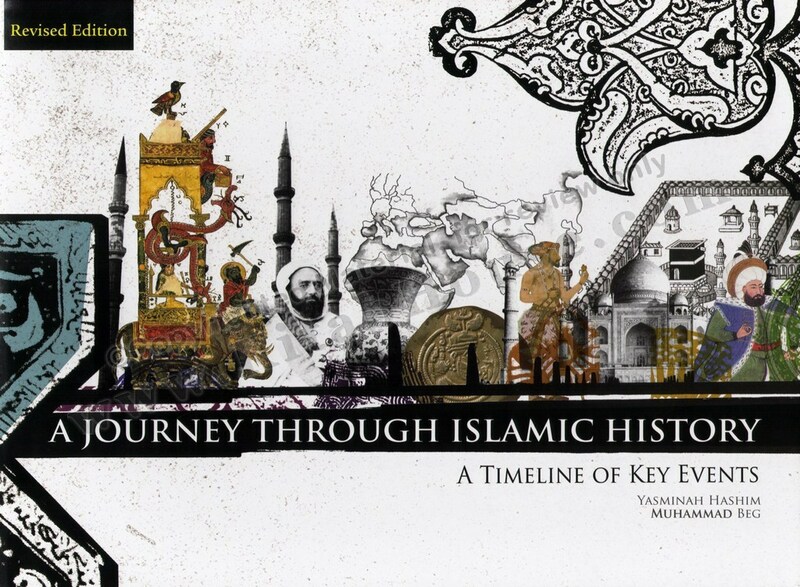 Buy A Journey Through Islamic History: A Timeline of Key Events b A JOURNEY THROUGH ISLAMIC HISTORY tells you all you ever wanted to know about the history of the Muslim world from the Prophet Muhammad to the Arab Spring in a short, accessible and lavishly-illustrated format. Suitable for students of all ages. Includes eight chronological essays covering 1500 years of history, with over 175 photographs and illustrations. A comprehensive timeline with over 500 entries, text boxes featuring important personalities, key events and major ideas, as well as several maps. A must for every library, college, school and home. 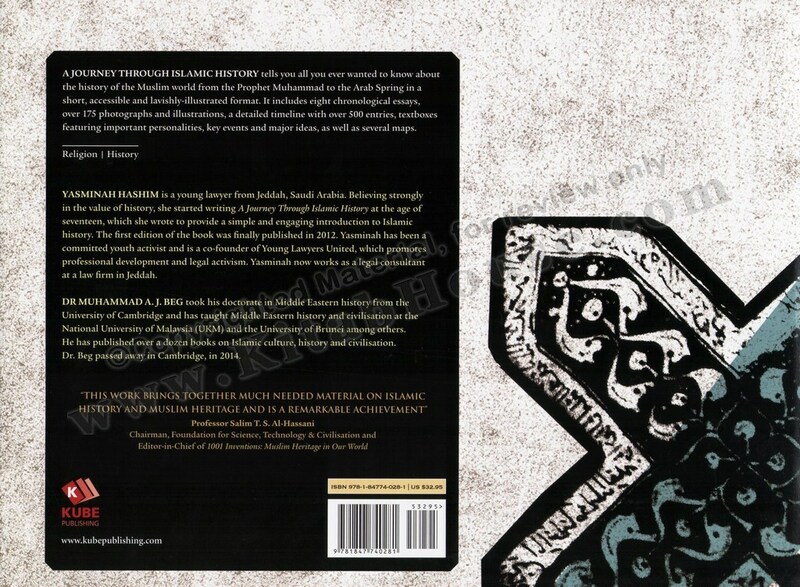 12" x 8.5" x 0.75"
A JOURNEY THROUGH ISLAMIC HISTORY tells you all you ever wanted to know about the history of the Muslim world from the Prophet Muhammad to the Arab Spring in a short, accessible and lavishly-illustrated format. Suitable for students of all ages. Includes eight chronological essays covering 1500 years of history, with over 175 photographs and illustrations. A comprehensive timeline with over 500 entries, text boxes featuring important personalities, key events and major ideas, as well as several maps. Yasminah Hashim is a young lawyer from Jeddah, Saudi Arabia. Believing strongly in the value of history, she started writing A Journey Through Islamic History at the age of seventeen, which she wrote to provide a simple and engaging introduction to Islamic history. 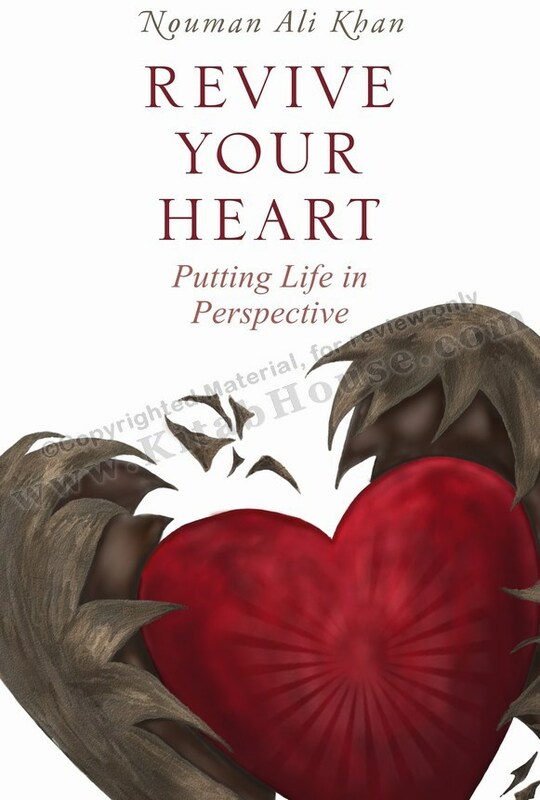 The first edition of the book was finally published in 2012. Yasminah has been a committed youth activist and is a co-founder of Young Lawyers United, which promotes professional development and legal activism. Yasminah now works as a legal consultant at a law firm in Jeddah. Dr. Muhammad Abdul Jabbar Beg took his doctorate in Middle Eastern history from the University of Cambridge and has taught Middle Eastern history and civilization at the National University of Malaysia (UKM) and the University of Brunei among others. He has published over a dozen books on Islamic culture, history and civilization. Dr. Beg passed away in Cambridge, in 2014. Professor Salim T. S. Al-Hassani.